Based on an 1859 experiment by German Scientist Franz Melde, TINES are tuning forks that are vibrated by precisely directed magnetic fields. Pulsing a strong electromagnet at the resonant frequency of a tuning fork causes it to start oscillating (and producing sound). 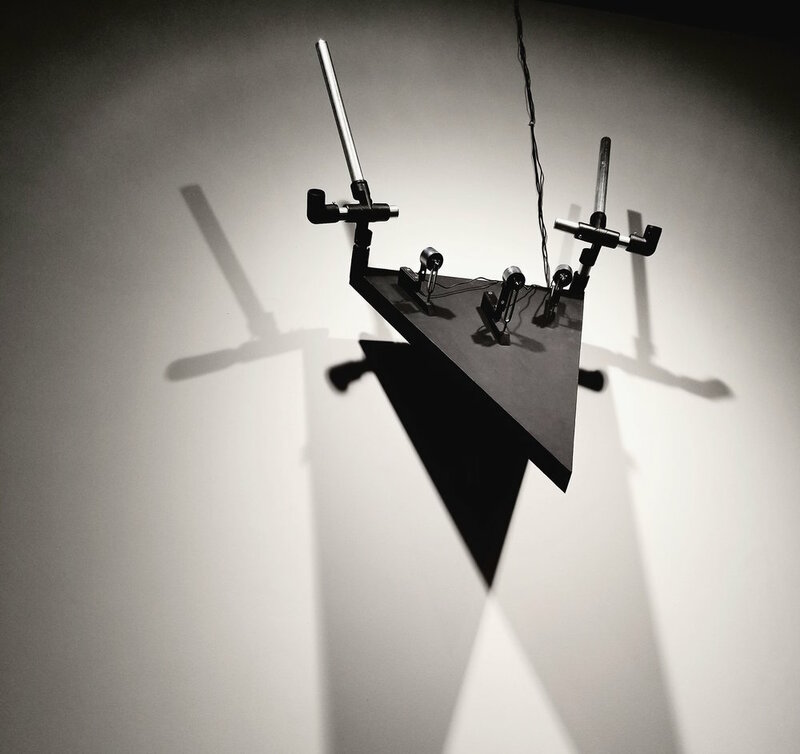 The deer-like sculptures act as resonators to increase the audibility of the tuning forks, amplifying their otherwise faint tones into raw materials for a digitally constructed audio composition.